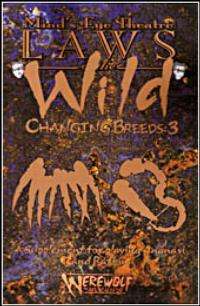 Changing Breeds Book Three comprises the worlds of the Ananasi and the Ratkin. Here the Ananasi build their webs and plots in deference to their hostage queen, serving the primal forces of the universe. Here the Ratkin nurse bitter grudges against the Garou and humanity who hunt them, and fight the Weaver's strangling webs with their own brand of eco-terrorism. Patterned after the first two Changing Breed books, here is everything a player could want to create and play one of these strange shapeshifters.